Black algae: Run your hand along the pool wall; if it feels oily or slippery, it’s black algae. This kind can only be handled with specific algaecide and is one of the most difficult to remove. Green algae: This is the most common kind of algae. Unlike black, this type of algae looks moss-like and floats in the pool. Mustard algae: This is the second most common form of algae, and it floats around the pool as well. Take immediate action if you notice this because it’s difficult to treat once it takes hold. You may need to use a number of treatments to completely rid your water of it. As long as your pool is green or has algae growth, it is a good idea to backwash and rinse your filter daily for sand filters and D.E., and clean the filter element of cartridge filters. Keep enough water in the pool to vaccum to waste every day, or every other day. When vaccumming very fine soot, algae, or anything that is smaller than the filter can effectively trap, you want to always vacuum to waste, or discharge. Vacuumming while on filter should only be used for routine cleaning. AND WE NEVER VACUUM ON BACKWASH, RINSE, OR RECIRCULATE. This is commonly done by mistake. The chemical balance is one of the most important parts. Stabilizer should be kept at the ideal level to back up your chlorine. Think of it as a way to make the chlorine work better and last longer, hence stabilizer.. Ph and Total alkalinity should be at normal levels, preferably on the lower side of ideal, unless an algaecide or other chemical is being used that requires it different. Something that’s good to know is that Chlorine stops doing its job when pH levels get too high in your pool. So, if algae are growing in the water this could be the main reason why. Purchase a pH testing kit, many are under $10, and make sure that the number is between 7.2 and 7.6. If it’s too high, use your favorite ph increaser to raise it. Before making any adjustments to ph, check the Total alkalinity is not low. These can be brought up at the same time using sodium bi-carbonate. For green algae, shocking the pool is one of the best methods, along with cleaning your filter, running pump 24 hours a day until its cleared up, and brushing the walls. You'll want to run the filtration system constantly, and shock the pool to a descently high level of available free chlorine, in order for the bacteria to feed on the shock, and die, so it can be vaccummed out. Shock isnt effective enough alone for mustard and black algae. 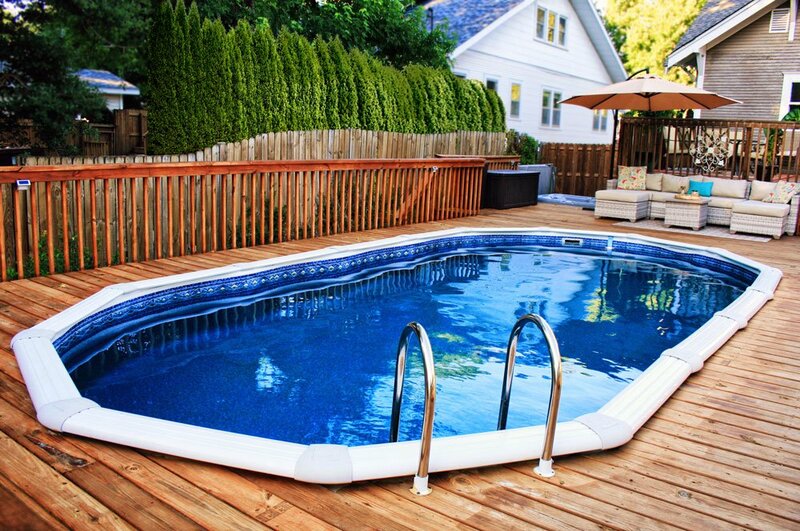 After 24 hours, brush and vacuum your pool again to see if any debris comes off. If so, repeat the backwash and shocking process. If not, you can hop in and cool off after all your hard work. Mustard algae is easiest removed with a good shocking. Sometimes you may need to resort to additional efforts. Like adding sodium bromine to a slight shocking. The bromine seems to be activated by the chlrine. Available in different brands, most referring to yellow stains, add the recommened amount for your pool size into a large bucket, a small amount of shock, mix with water, and add to the areas showing the algae, or where you first saw it. Allow it to filter overnight, backwash and rinse, vacuum to waste, and repeat if you still see it. If not, chlorine levels are going to be lowered, reshock the pool, balance other chemicals, and maintain those chemistry levels. Specialized algaecide is the only way past shocking, which almost never works it seems. All of these containing copper, pay close attention to the directions on the bottle, as well as your ph levels, and stabilizer levels. 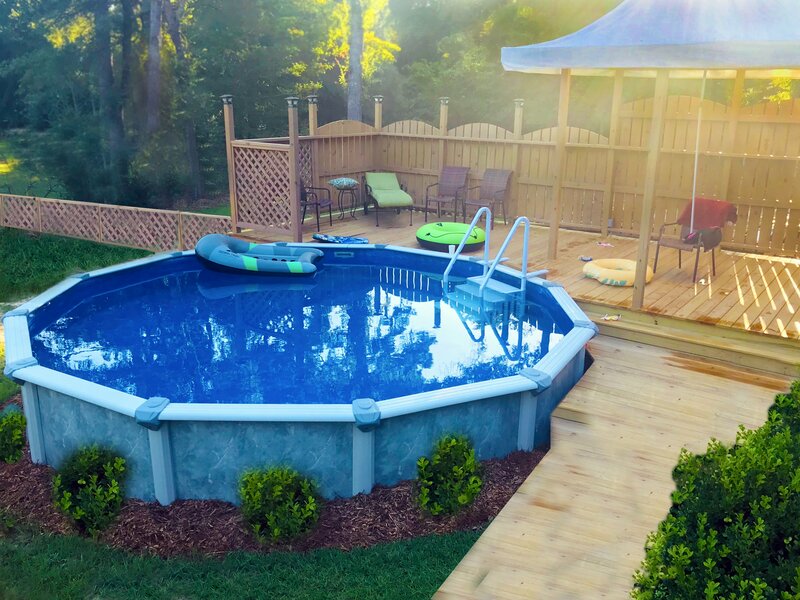 If other staining starts to occur on plastics or anywhere else, be ready to use metal out or other similar products, as these weapons are adding metal your pool.